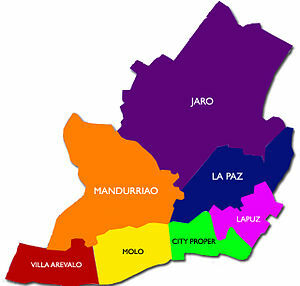 Iloilo City is made up of seven boroughs or districts: the Arevalo, which covers 13 barangays, Molo with 25 barangays, Mandurriao with 18 barangays, City Proper with 45 barangays, La Paz with 25 barangays, Jaro with 42 barangays, and Lapuz with 12 barangays. Each one has enough attractions—and enough personality. Learn more about them with this guide.